But the two pictures I have of the Boiceville Market are not my own. My father took them for me when he was up in that area years ago. You enter to meat and deli on the right side, with dairy and frozen along the back wall. Produce is in the far front corner. 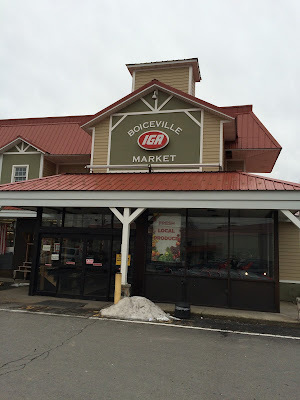 And strangely enough, the aisles run parallel to the storefront, not perpendicular as usual. The corn and watermelons are not actually in the produce department, just a special display in the first aisle. There is a deli and an in-store bakery, although it's not a service department. Looking along the back wall. The store is very small but well-stocked with essentials for locals or tourists coming through. Much better than the Phoenicia Supermarket in nearby Phoenicia! There is a center aisle, running from the front of the store to the back, that divides the aisles in half. Small produce department in the front corner opposite the entrance, which is a very strange place for it. The last aisle of the store. A look past customer service towards the checkouts and produce behind that. The shelving facing the checkouts is mostly HABA and general merchandise. 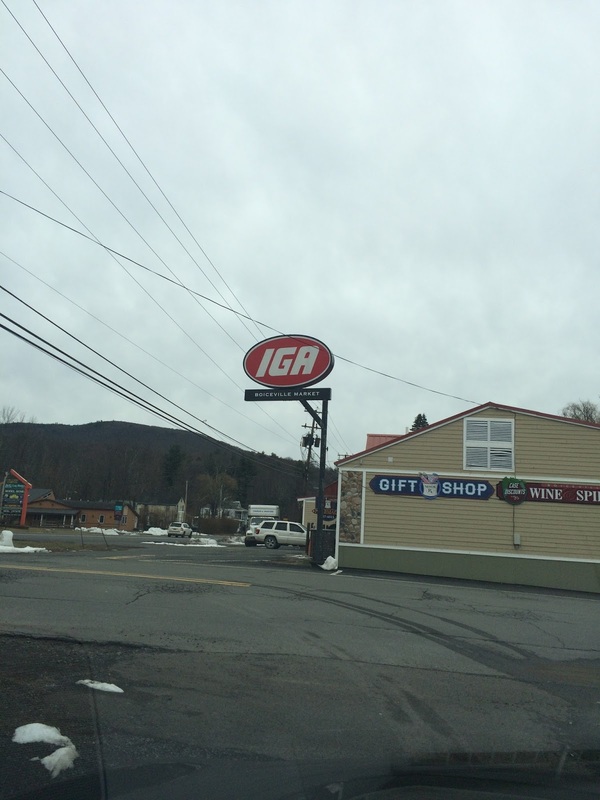 I was wondering where that IGA in your profile picture was from! It seemed too familiar. Quite an interesting store!